Cupcakes, cupcakes, and more cupcakes…they are everywhere: at your local markets, farmer’s markets, bakeries, dessert bars, weddings, cupcake stores, and cupcake trucks. My go-to cupcake is the under-appreciated MUFFIN. I have one at least once a week and have 3 choice recipes I make and freeze. 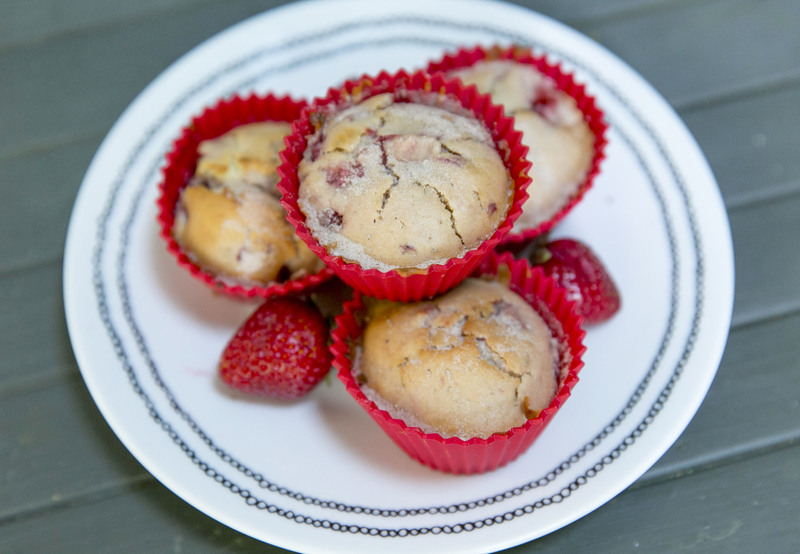 Aside from the ever so popular Blueberry, I finally have a muffin recipe for my favorite fruit…Strawberries. Strawberry desserts are the next best thing to Chocolate or Vanilla. Here is a recipe that I am proud to share. When you share them, the only remains will be crumbs! Preheat oven to 400 degrees. Spray muffin pan with cooking spray. Cream butter and sugar in a bowl. Add egg and mix well. Sift flour, baking powder, and salt in a separate bowl. Alternate milk mixture with flour mixture in the batter (butter, sugar, eggs). Add vanilla. Gently stir in strawberries. 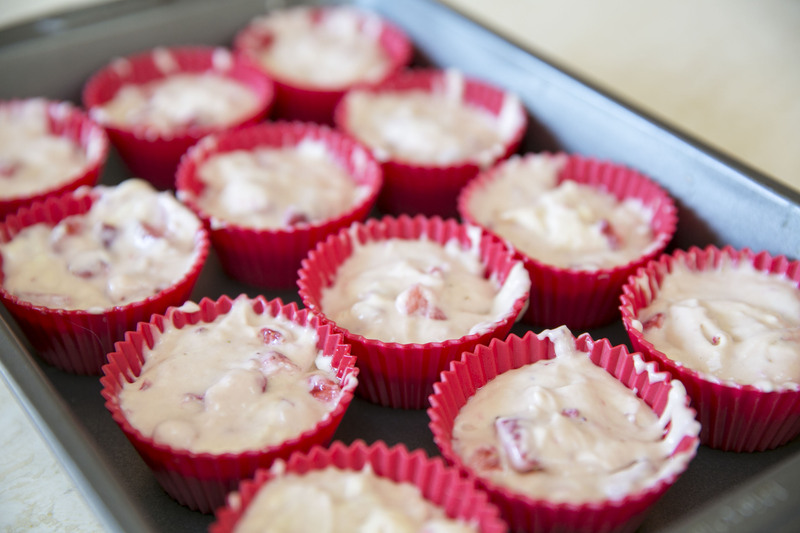 Spoon batter into muffin pan. Mix sugar and cinnamon and sprinkle over cupcakes (muffins). Bake 25 minutes or till done. Poke a toothpick in the center and if it comes out clean, the cupcakes (muffins) are ready! Splurge on farmer’s market strawberries for maximum flavor. 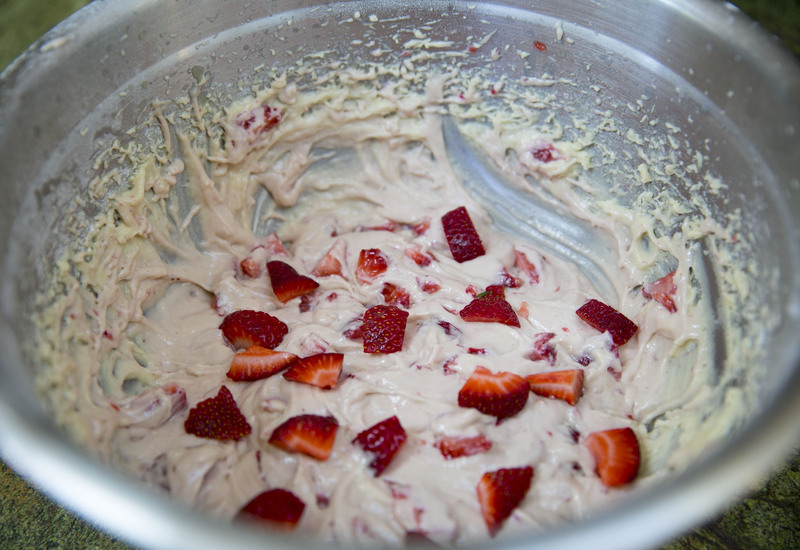 Use the over ripe strawberries first because they are the sweetest. Because of the cinnamon, the tops of the cupcakes (muffins) will look overcooked when they are fully baked. Any kind of milk will work for the recipe. Any leftovers, pop them in the freezer and nuke them in the microwave for 20-30 seconds. Because it is a seasonal fruit, make them while the strawberries are at their peak.